“Well, have you been to my website and seen what I do? 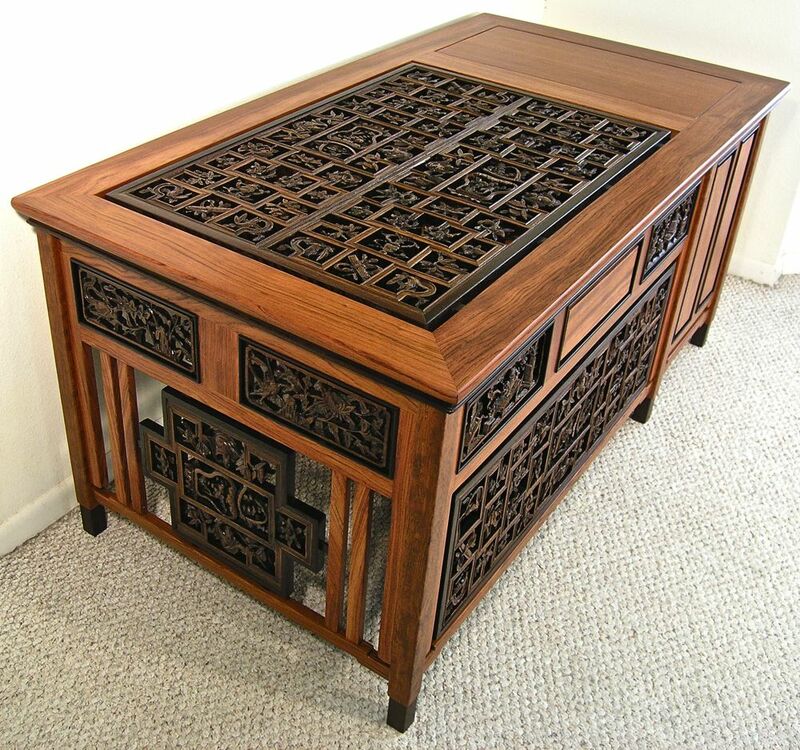 I mean I’ve seen table tops made out of old doors, but I’m not really into doing things like screwing a set of them together to make a piece of furniture out of.” I mean, couldn’t she see I was a skilled, experienced furniture maker? Well, fabulous sounded good to me, and that was the beginning of our working relationship. 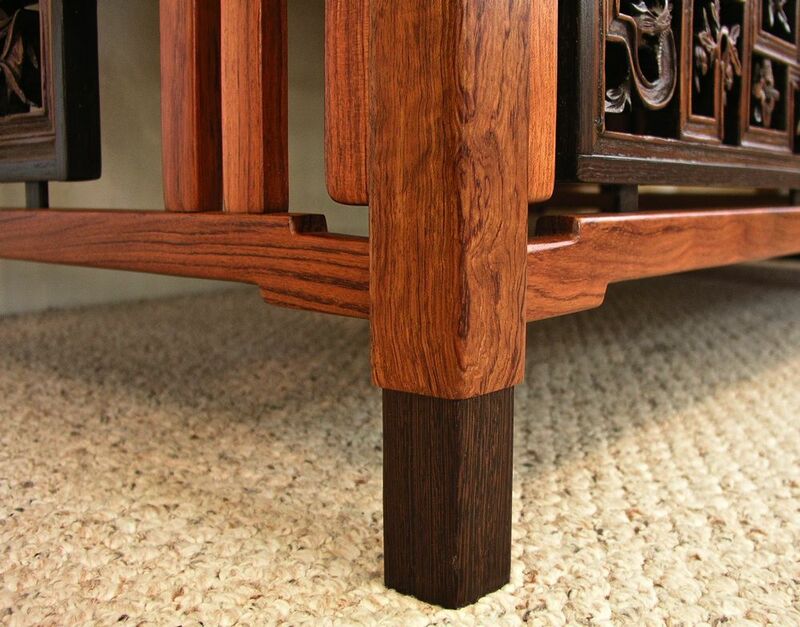 The desk was to go in a particular space. It could be no more than 33 inches wide and 62 inches long. 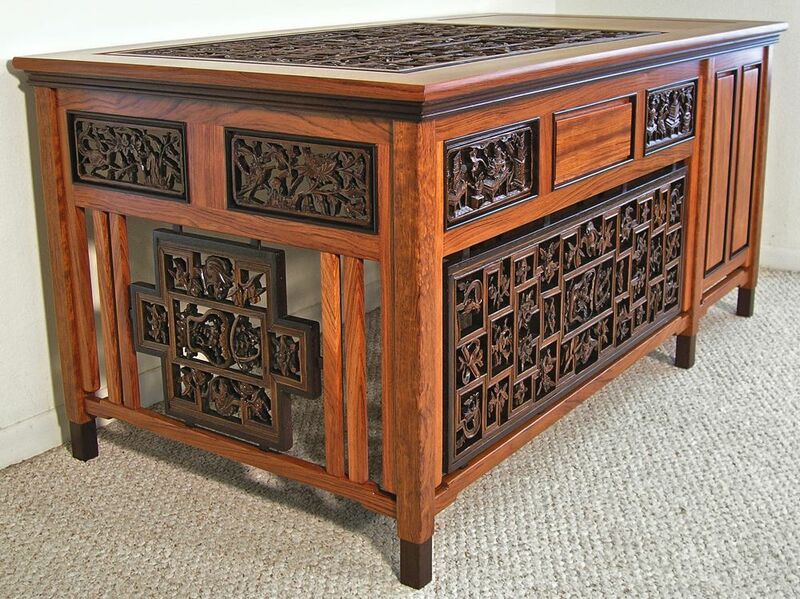 She wanted to see a lot of the carvings in the top covered by a piece of glass, and she wanted drawers for storage. 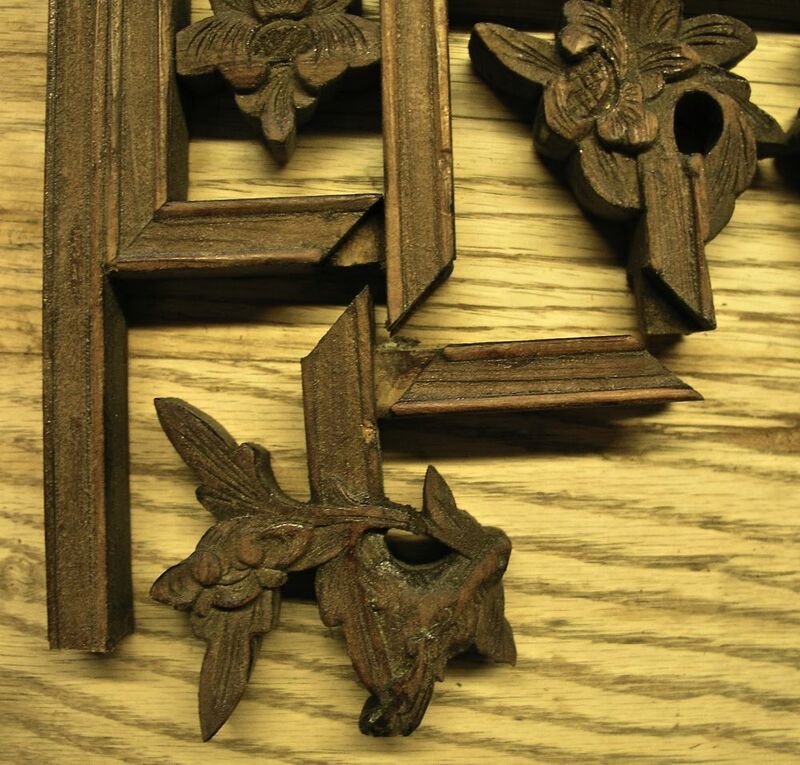 These were the parameters I had to work within and incorporate the carvings into. I kept thinking about these parameters, looking at the door photos and murmuring, “fabulous, fabulous”, but nothing appeared in my imagination when I did this. 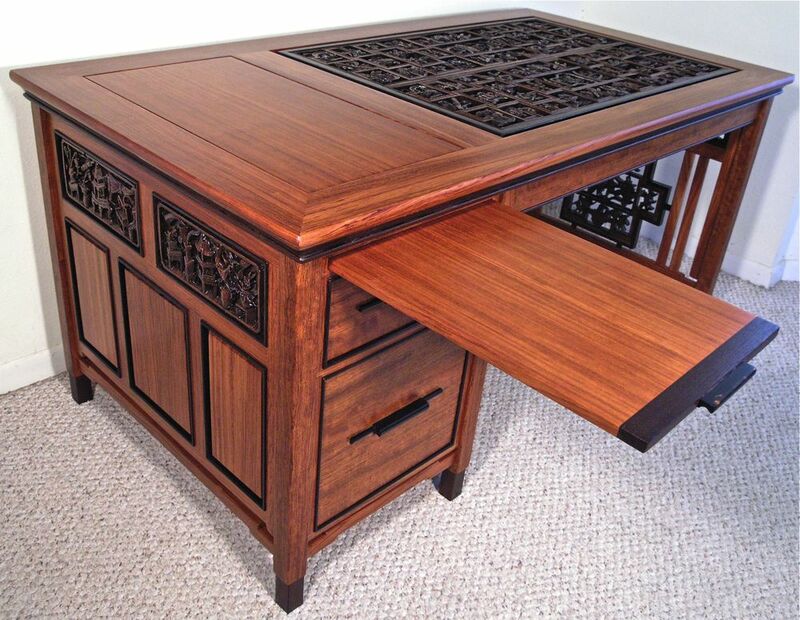 So the weeks went by and I stayed busy with other projects, but occasionally I thought about this person’s request for a desk and knew it was very impolite to just ignore her, and besides, the time would come when I would probably need the work. I had to deliver and install a large display case for some clients who lived in her city, so I called her and asked if I could come look at the doors. 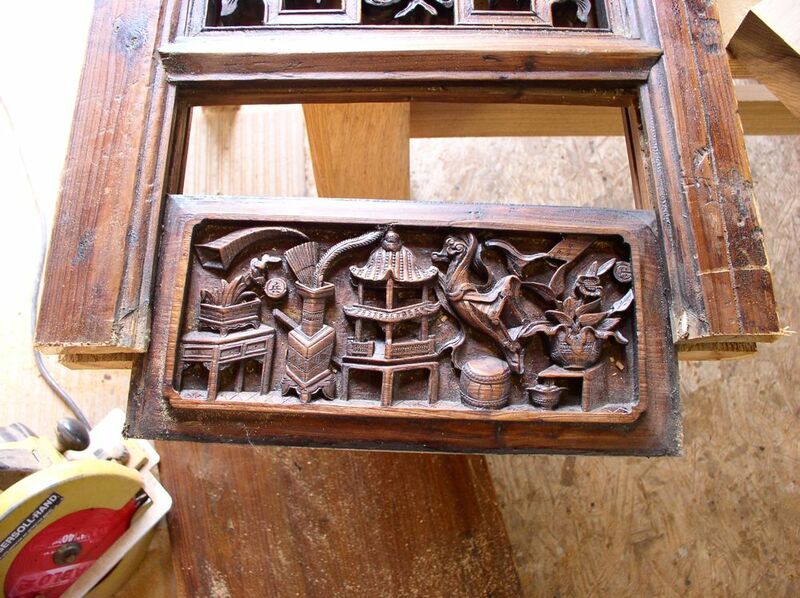 She had them stored in her garage and when she opened an overhead door I could see that the carvings were detailed, intricate and skillfully done. “Now that you’re here, you might as well take them with you,” she said, so we loaded the six doors onto my trailer and off I went. I had given her no design, no price for the desk, yet now I had her doors. Again, the weeks went by. The doors were stacked together and leaned neatly against the front wall of my shop, slowly getting covered with wood dust. I would look at them, but no design ideas would pop into my mind, and then I remembered that design ideas rarely pop into my mind. 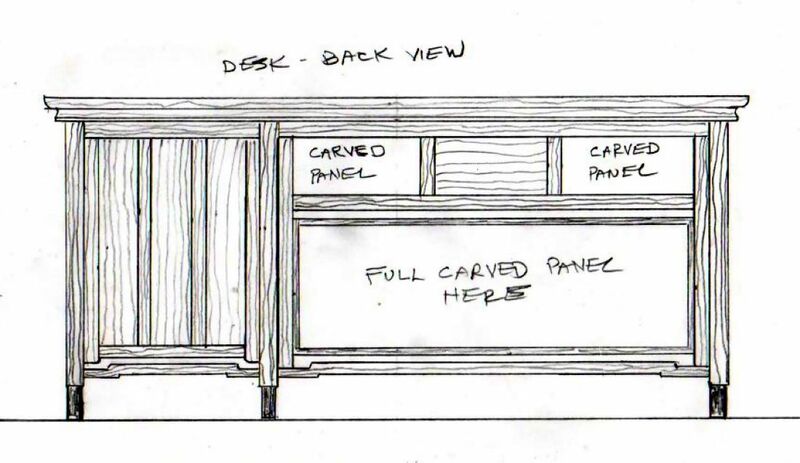 My design ideas appear on paper when I labor over drawings. I sketch and doodle and finally get out the drafting tools and draw to scale. That is where my design ideas take shape. So, I finally began to draw and discard until I arrived at a general plan or direction that I liked. 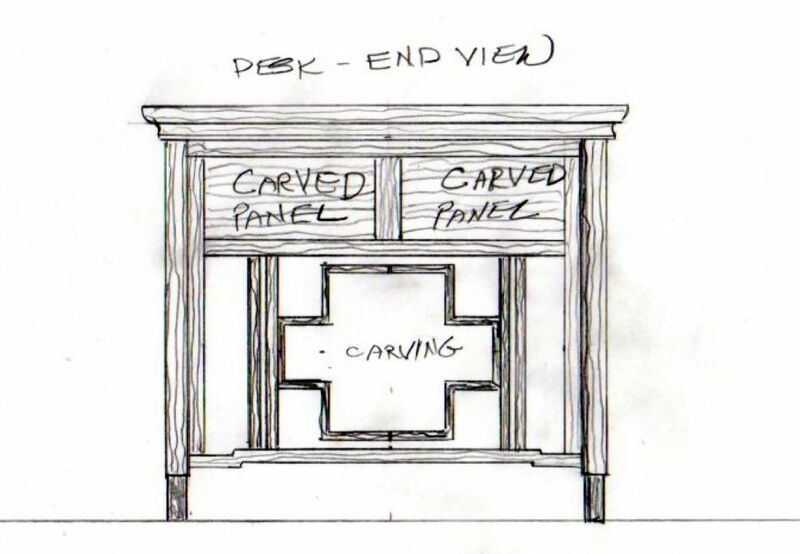 Once I had my client’s approval I knew it was time to cut some of the doors apart and remove carvings, and I had no idea what would happen when I did that. 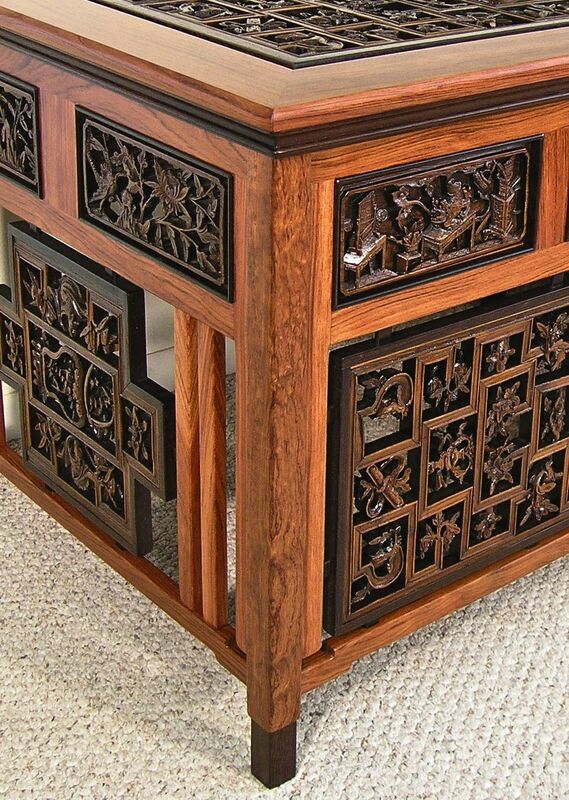 Everything about the doors showed me they were made with hand tools. 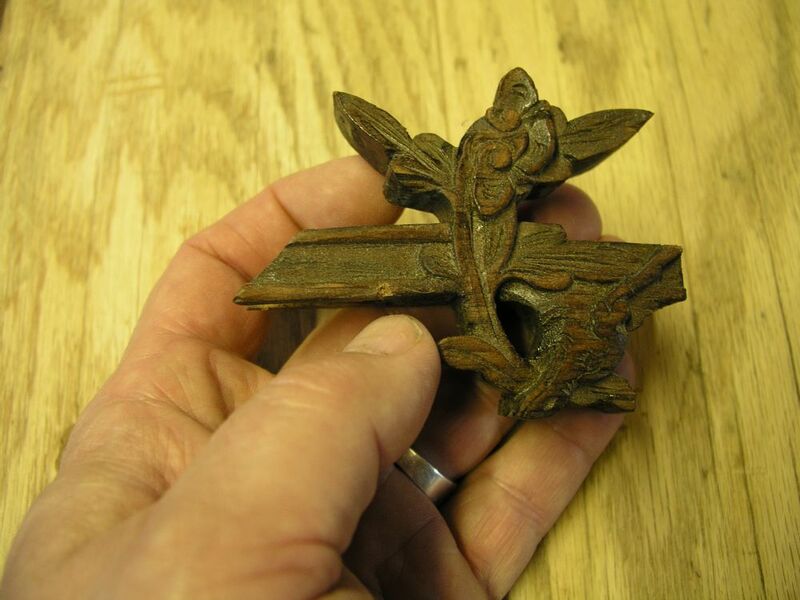 I could see hand cut through mortise and tenon joints, and there were no milling or machine marks anywhere. I wondered if glue was even used at all. Removing the small panels was relatively easy. 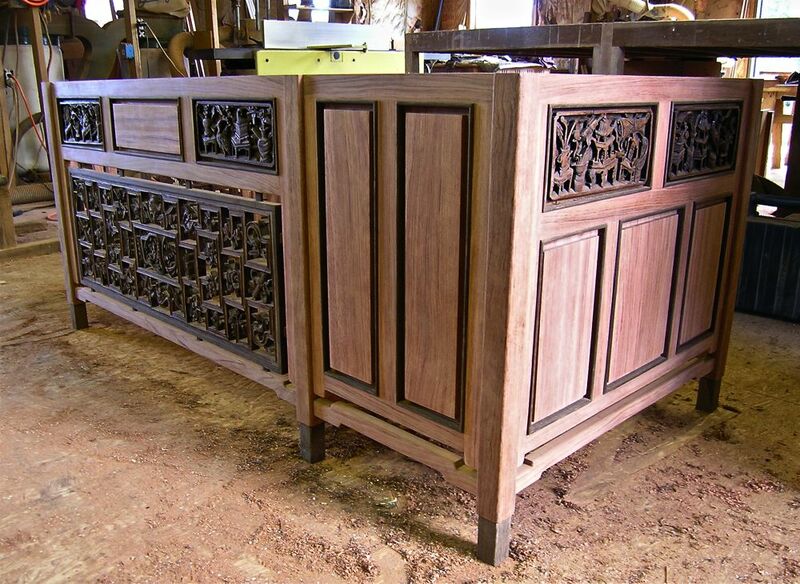 Removing the larger panels proved to be trickier as they were attached to the perimeter frames of the doors with many little, hidden mortise and tenon joints. 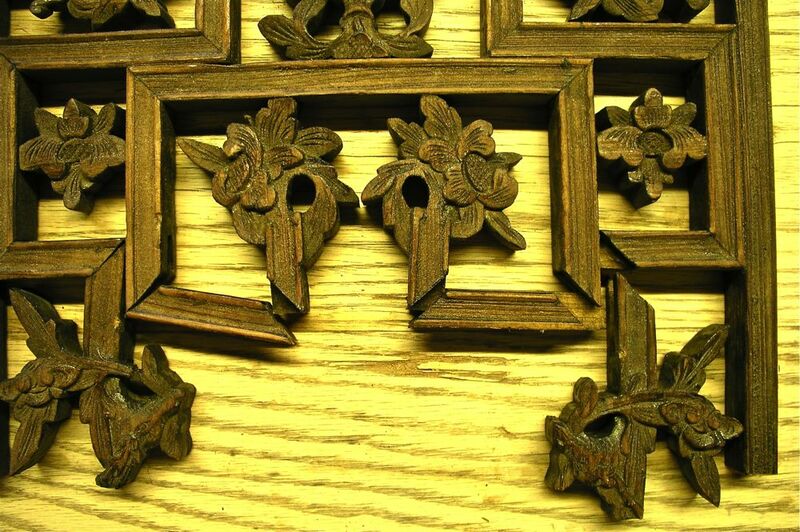 Even more impressive, every little mitered intersection within these carved frames had within it a hidden bridle joint. 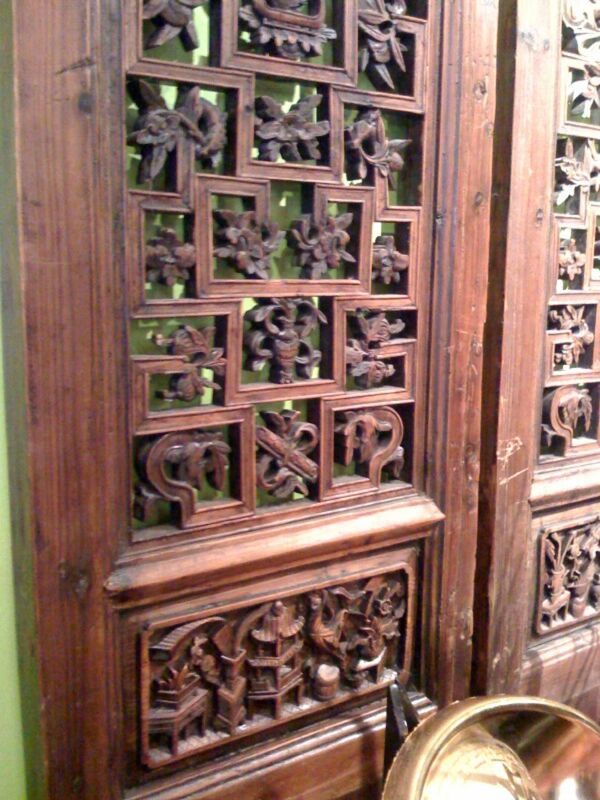 There were dozens and dozens of these, all cut by hand along with all the carvings also done by hand. 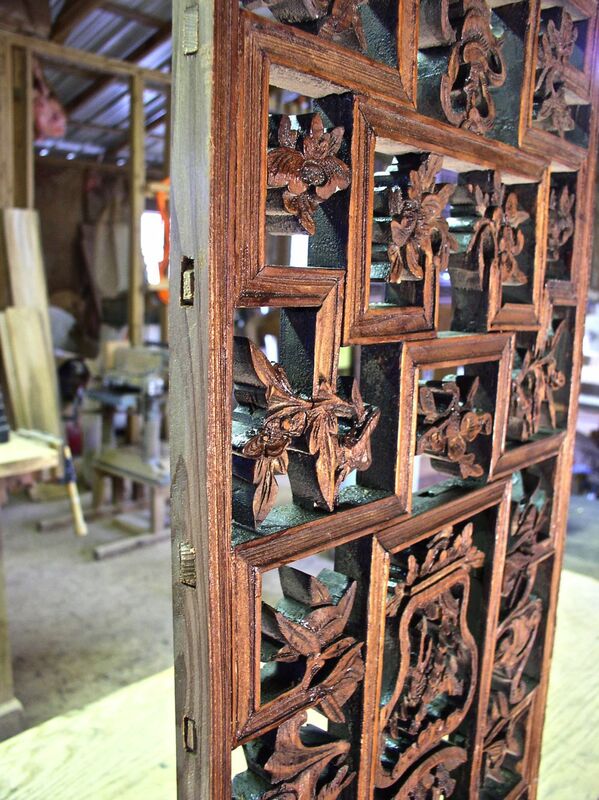 People tell me how patient I must be to make my furniture, but the craftsmen who did these doors and carvings took patience and concentrated repetition to a level beyond anything I even have the ambition to try. 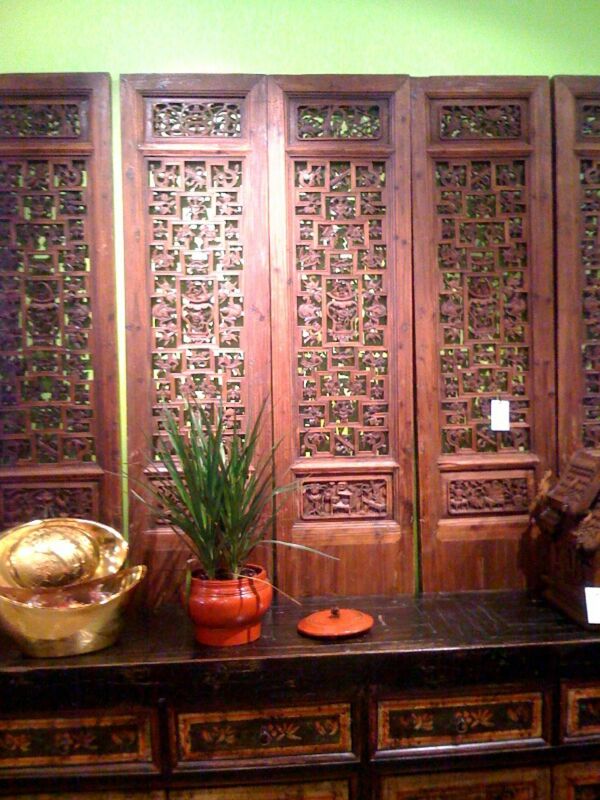 The work in these doors represents concepts of time, labor, and compensation that are foreign to me. 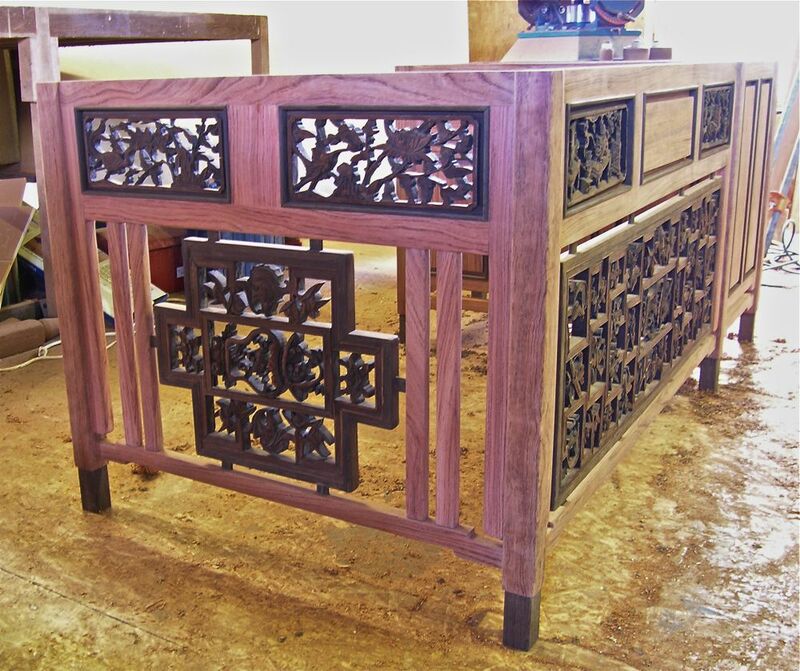 I wanted to create a desk that was entirely my own expression, but I also wanted to do justice to the cavings I was incorporating into it, carvings which had come from skilled hands working out of a different time and different culture. It was going to be a balancing act and there was much I had to figure out as I went along, but finally things began to come together. 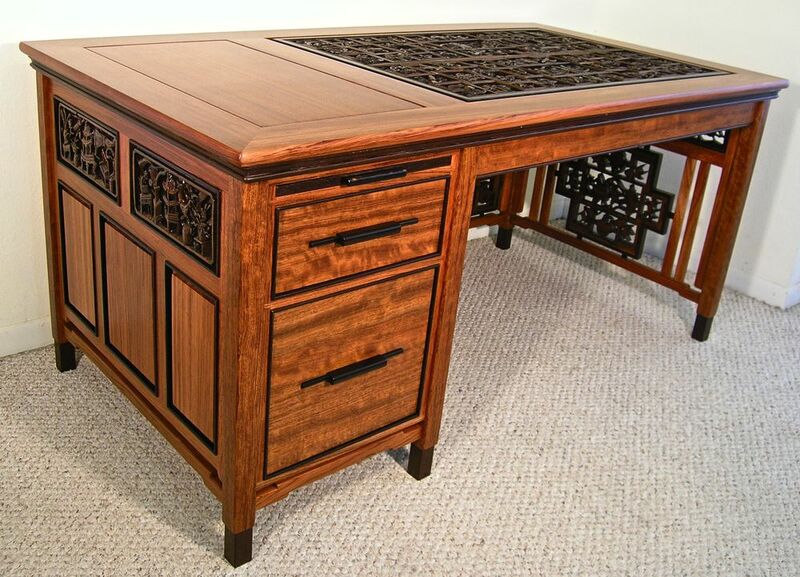 After weeks of concentrated effort, the desk was finally completed and ready to deliver. After the desk was delivered I install a piece of clear, 3/8″ glass on the top to act as a writing surface. To see more of my work you can also visit my gallery page. Gosh, this really is one of a kind – and I agree, you must be very patient! Beautiful.